Shipping pianos is one of the most effortful moving tasks because of the extreme delicacy of these musical instruments that can easily get damaged in transit. 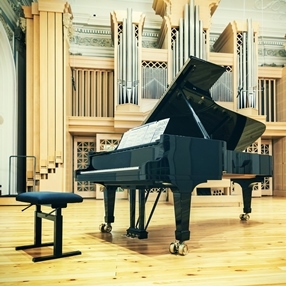 Moreover, any piano is comprised of thousands of small parts, not to mention that it is made of natural products, such as wood, leather, and felt. In fact, no two pianos are the same, which makes each of them unique and even more valuable for the owner. One more important thing that you should know about shipping pianos is that this task requires certain training and teamwork. After all, a piano is a very heavy item, sometimes weighing over 1,000 pounds. It is needless to say that to handle such an object without extra help is simply impossible, even when it comes to moving it from one room to another. How about shipping pianos across the country? It is indeed a challenge unless you hire experienced piano shippers for this job. At Fine Art Shippers, we offer flexible piano shipping services based on our many years of experience, knowledge, and skills. Furthermore, while we are a New York-based company, our expertise is not limited to only moving pianos within the Tri-State Area. Our team is also proficient in shipping pianos across the United States and overseas, which makes Fine Art Shippers an ideal choice if you need your treasured musical instrument to be safely delivered long-distance. So if you do not want to damage your piano or injure yourself, our professional piano shipping service is exactly what you need in such a situation! What is the cost of shipping a piano across the United States? additional services like custom crating and insurance. In other words, the cost of shipping a piano across the United States is different for every situation and should be discussed with the moving company on an individual basis. Anyway, if you deal with Fine Art Shippers, we will offer you the most cost-effective solution tailored to your particular needs and budget. Shipping pianos long-distance is what we are proficient in, so feel free to contact our team with any moving problem you have!